Book Your Ticket for Poitiers 2017 Now! Enjoy Early Bird Prize Draw & Monitor Hire! The HWBOT World Tour 2017 will be enjoying the bright spring air of Poitiers in France in a just a few weeks time, bring the world of Overclocking to Gamers Assembly, the biggest gaming and PC enthusiast festival in Europe. The Poitiers -2017 event will of course feature a Overclocking World Championship Qualifier, a contest where the region’s best Extreme Overclockers compete for a place in the OCWC Final at the end of the year. The good news today is that there are a number of tickets still available, plus the fact that if you purchase you ticket soon, you will also have the chance to hire an inexpensive monitor while also entering a free prize draw to win a Seasonic PSU! What are you waiting for? https://i0.wp.com/tour.hwbot.org/wp-content/uploads/2016/11/HWT17-GA-Key-Design_v2.2-1310px.png?fit=1310%2C524 524 1310 Stewart Haston http://tour.hwbot.org/wp-content/uploads/2017/08/HWT_Horizontal_dark_2k-300x100.png Stewart Haston2017-02-24 09:52:272017-08-25 09:51:31Book Your Ticket for Poitiers 2017 Now! Enjoy Early Bird Prize Draw & Monitor Hire! 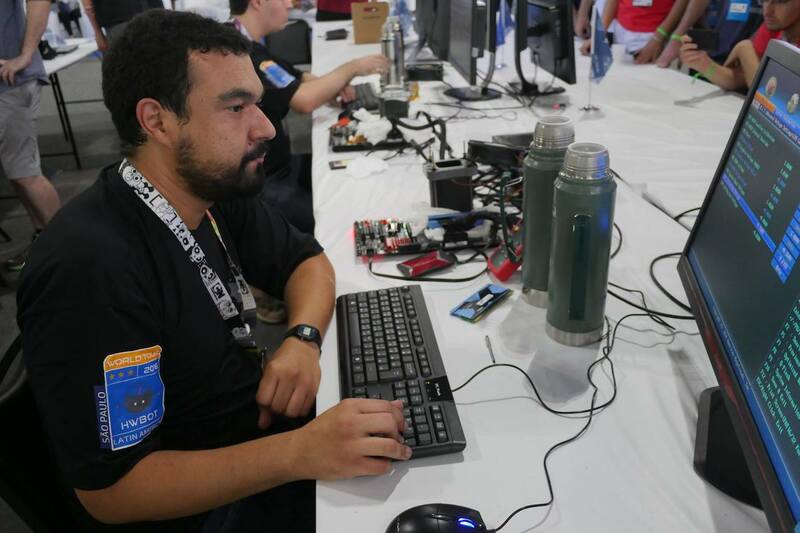 [Press Release] February 16th, 2017 – HWBOT, an organization regulating international overclocking competitions and rankings, successfully wrapped up HWBOT World Tour 2017 stop at Campus Party Brazil in Sao Paulo, one of the biggest LAN parties in Latin America. In celebration of the HWBOT World Tour 2017 were have teamed up with Teespring to offer some exclusive World Tour branded apparel. 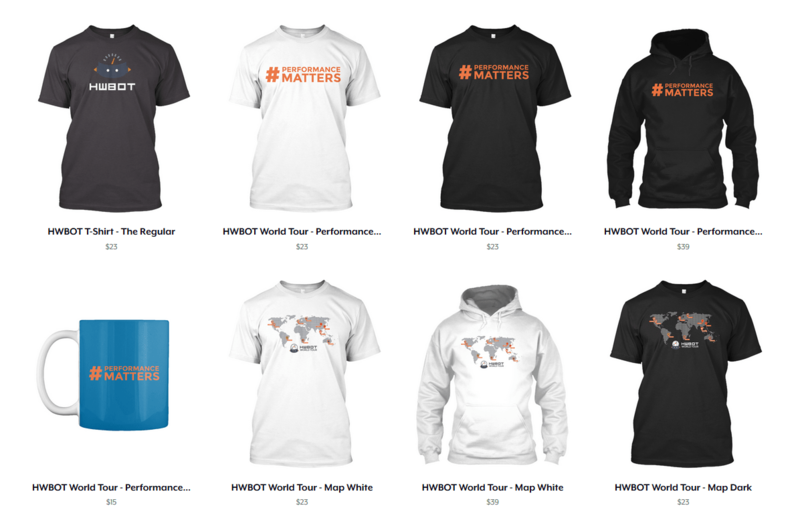 The HWBOT World Tour apparel range includes a selection of uniquely designed T-Shirts, Hoodies and mugs – the perfect way to commemorate the biggest global Overclocking event ever conceived. The HWBOT World Tour continued yesterday (or earlier this morning depending on where you live) with the amateur, or ambient stages of the Sao Paulo – 2017 event. 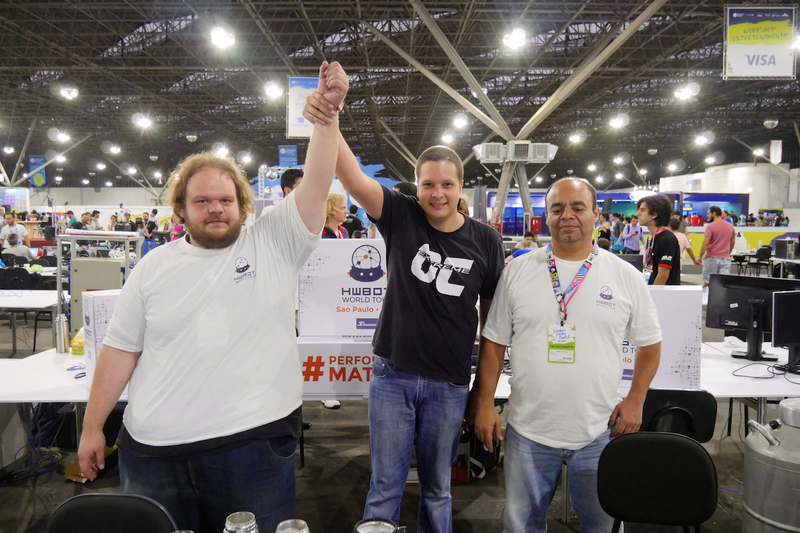 The combatants were of course attendees at the Campus Party in Sao Paulo, Brazil. 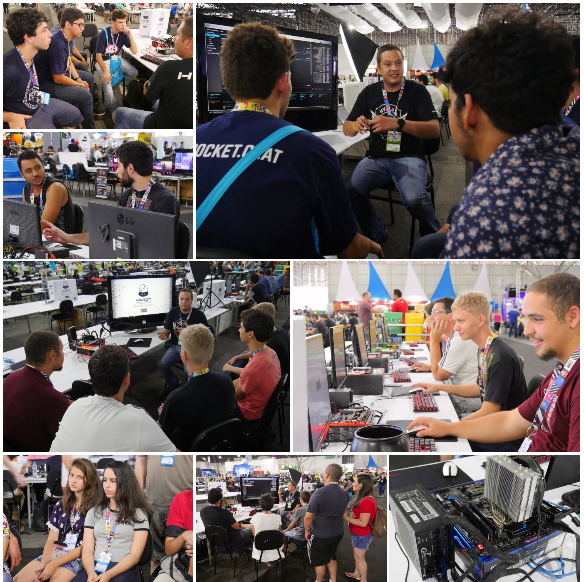 All attendees were invited to learn the basics of system tweaking and then encouraged to try and score as highly as possible in the Intel XTU benchmark. The great news is that this year the team saw a record 151 amateurs make a submission on the OC-ESPORTS platform, beating last years’ figure of 143.